Last week featured the fourth and final batch of beers as part of the 2017 Coast to Coaster Canadian tour of Canada's beer scene. This year's batch was more fruit forward than previous years but this year's selection was absolutely tasty. Some of my favourites were IPA No. 2 by Collective Arts Brewing, Fuggles & Warlock's Last Mango Wit Ale, and Muskoka Ruff Draught Tropical Blonde Ale, which is not to be confused with the title of this column, First Draught. There were also a few interesting selections as part of the lineup including a cucumber beer by Steamworks Brewing and a Blonde Ale by Manitoulin Brewing, an Ontario-based brewery that has only been open for two months now. I believe that Black Bridge Brewing out of Swift Current, Saskatchewan has been a part of the Coast to Coaster event since the beginning and I'm glad to see that they're part of the lineup again this year. Saskatchewan has some amazing breweries and honestly - I don't have a favourite as each one has a different focus. Black Bridge consistently makes some of the best beer on the prairies. 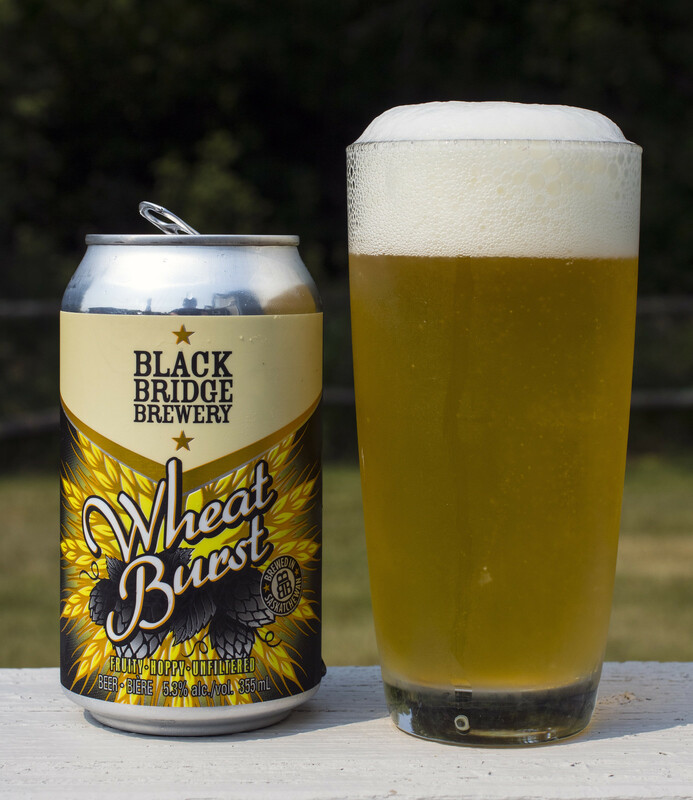 As part of Coast to Coaster, this year's release is Wheat Burst American Wheat Ale. Wheat Burst is described as fruity (pineapple and guava), hoppy (El Dorado and Mosaic) and unfiltered. So far, this beer is being a bit reminiscent of last week's review, Juicy! Double IPA by Halifax's Garrison Brewery. The appearance of Wheat Burst is a mildly cloudy straw body with a thick frothy white head on top. The head very slowly diminishes into residue on the side of the glass. The aroma is sweet, fruity and hoppy with notes of pineapple, guava, a light earthiness of wheat and barley, and a very aromatic, bitter hop presence of pine, grapefruit, and lemon. The taste is pretty reminiscent of the aroma, it's a sweet and fruity pineapple-forward unfiltered ale that has a bit of a doughiness to it. A bit sugary, notes of pineapple, guava, pine, lemon, a light amount of grassiness to it. The beer is somewhat bitter for the aftertaste, but it's clean, easy to drink and great for the hot summer days we're experiencing right now.